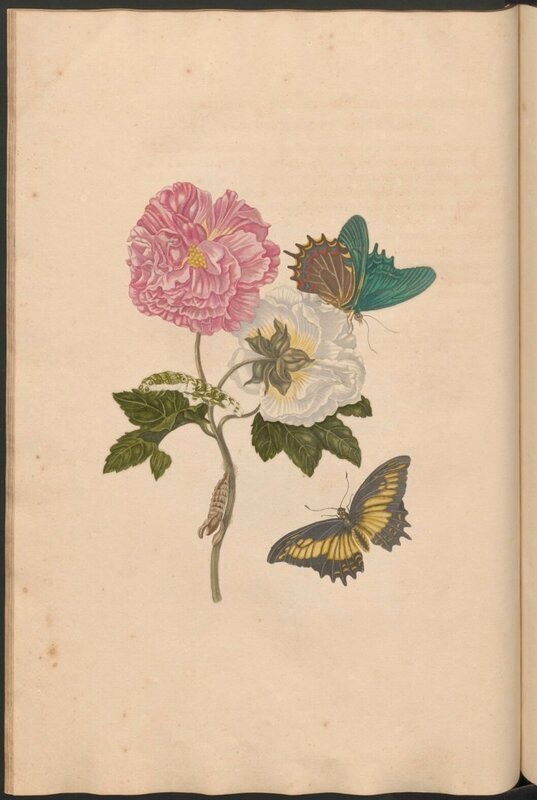 This year is the 300th anniversary of the death of naturalist and artist Maria Sibylla Merian (1647 – 1717). 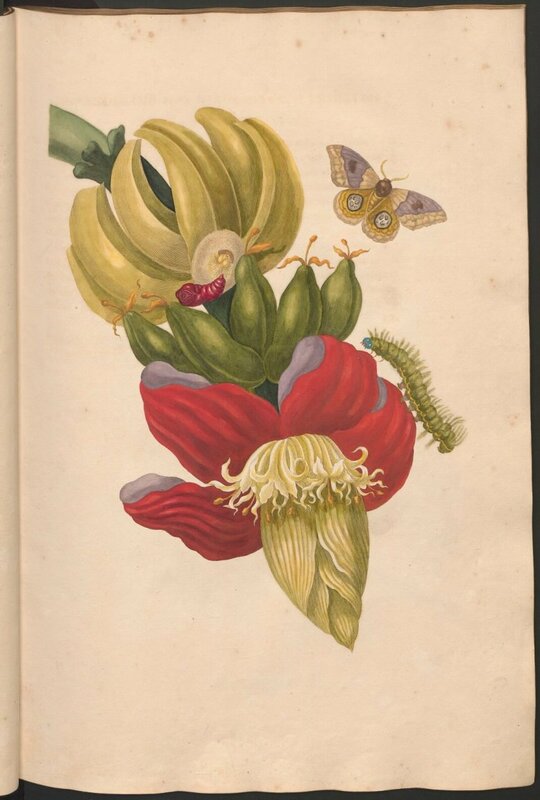 A good reason for the Cromhouthuis to host the exhibition The Treasury Collection: Works by Maria Sibylla Merian, which can be seen from 31 March. The exhibition features her colourful paintings and illustrations based on her research into caterpillars, butterflies and other insects. This valuable and fragile collection is part of the Artis Library collection from the University of Amsterdam. The exhibition runs until 18 June 2017. 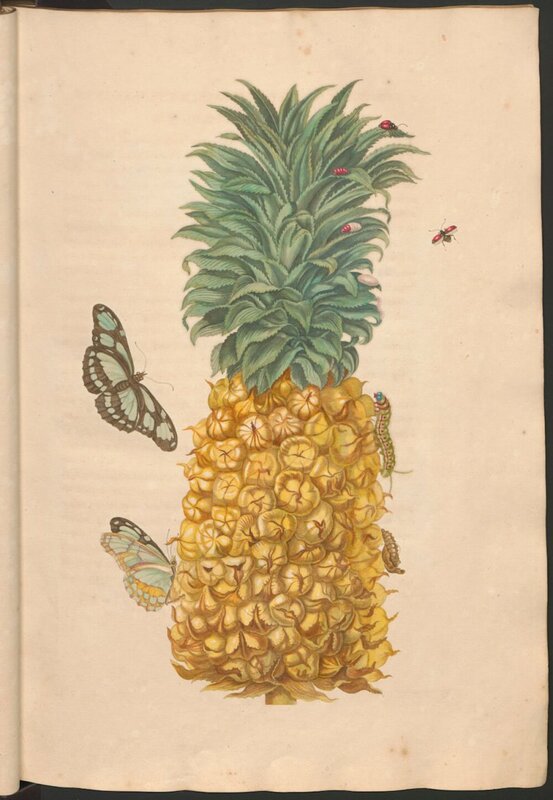 Maria Sibylla Merian was born in Frankfurt, Germany in 1647, and she moved to Amsterdam in 1691. Merian was an independent woman with modern ideas that she carried over into her research as a naturalist. For example, she felt it was important to see the creatures she was researching in their natural environment. This conviction lay at the basis of her journey to Surinam where she worked on her most well-known book, Metamorphosis Insectorum Surinamensium. 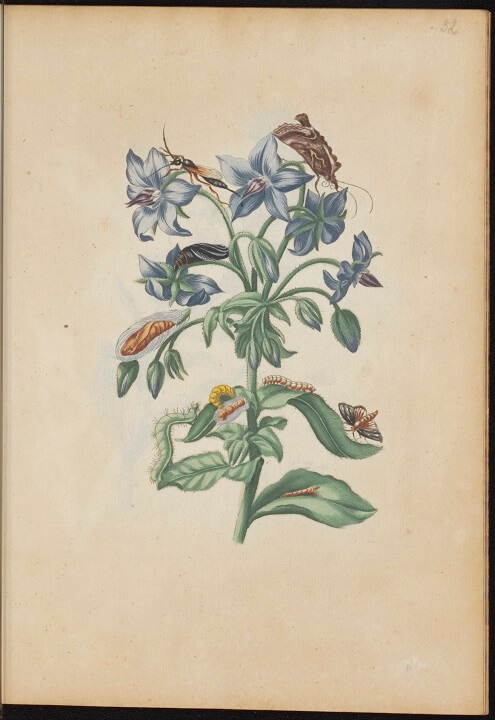 The focus of this richly illustrated work, just as in her book Raupen wunderbare Verwandlung, is the metamorphosis of caterpillar to butterfly. 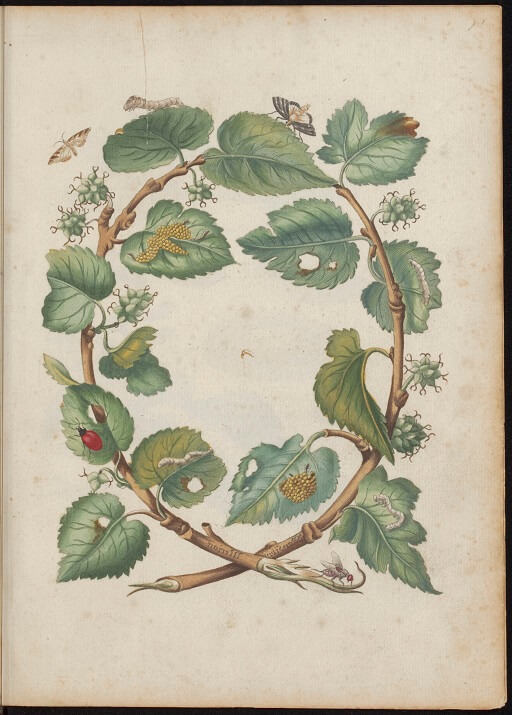 The exhibition illustrates beautifully how Merian worked on the interface between art and science. The exhibition was designed by Florian Seyd and Ueli Signer from The Wunderkammer. They took their inspiration from the antique books and original prints in the collection of the Artis Library (UvA) and combined this with specimens and objects from nature. 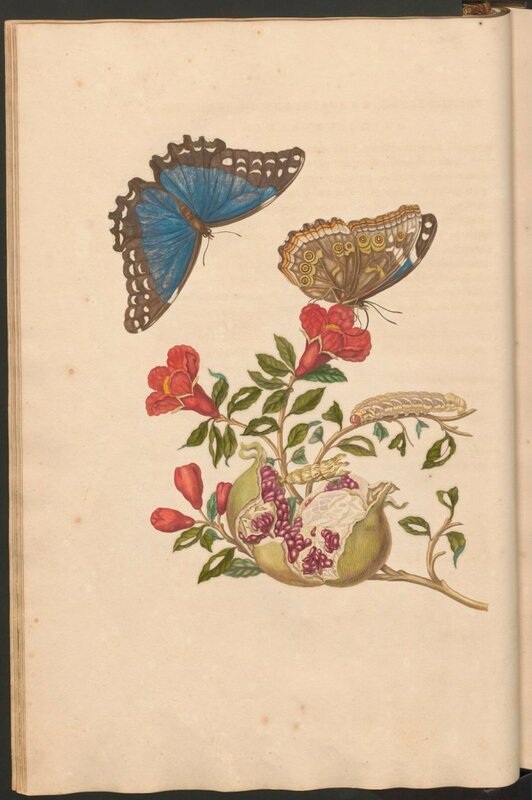 To commemorate the 300th anniversary of the death of Merian, the Maria Sibylla Merian Society is holding an international symposium on her work, from 7 – 9 June. The exhibition, a collaboration between Artis Library, the University of Amsterdam and the Amsterdam Museum is part of the symposium programme. Exhibition opens on 30th of March 2017 at Cromhouthuis, Herengracht 366, Amsterdam until 18 June 2017.